PokerListings: Best bets are chess players! 5/26/2011 – Every year, PokerListings releases its list of Best Bets for the upcoming 2011 World Series. This year they have decided to go with chess: "If there is a group of people more prepared for success than chess players, we haven't found it." They list child chess prodigy Jeff Sarwer, Dan Harrington, Almira Skripchenko and Dinara Khaziyeva as prime examples. Report with videos of Almira in action. Every year, PokerListings releases its list of Best Bets for the upcoming World Series of Poker. In the past they have picked out individuals, based on results, skill and a vast knowledge of the vagaries of the poker world. "Frankly, our predictions have been less than accurate," writes a spokesperson. "That’s why this year we’re taking the shotgun approach, aiming at groups in hopes of scoring a few hits." So PokerListings decided to go with – chess players! "If there is a group of people more prepared for success at the 2011 World Series of Poker than chess players, PokerListings hasn’t found it." 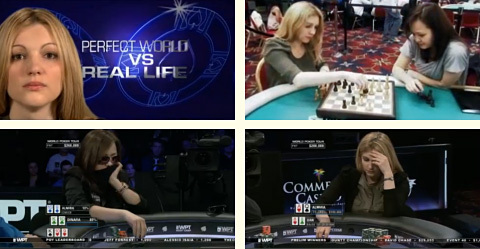 Two world-class female chess players dominated the World Poker Tour Celebrity Invitational in Los Angeles this year en route to making the final table. 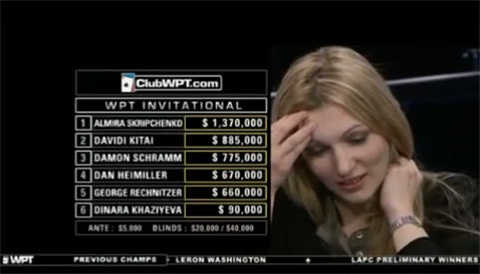 And while Almira Skripchenko and Dinara Khaziyeva didn’t win, they proved they’re poised for big things in poker. "Historically, chess players have proven the transition to poker to be a profitable one," writes the author. 1995 WSOP Main Event champ and two-time finalist Dan Harrington is among those who played chess before he turned to poker, as is 2008 November Niner Ylon Schwartz. Plus, child chess prodigy Jeff Sarwer emerged from a life on the lam in 2009 to find incredible success on the European Poker Tour. Sarwer took his first crack at the WSOP last year and managed to cash in three events. He says chess players, and in fact anyone with a gaming background, usually come ready to play. “There really is (something fundamental about chess that makes chess players successful at poker) and I think that goes for all the gaming crossovers,” he told PokerListings. “If you have a gaming mind then you have a lot of the same foundation. It goes for Magic the Gathering, backgammon and chess." 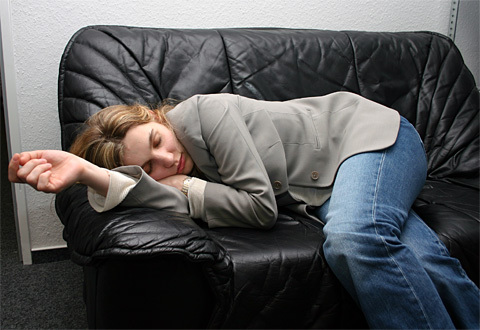 “Chess players are bringing a lot of the competitive sports psychology with them. While backgammon is more of the math side, in my opinion chess is more of a bluffing game. Because the positions are so cloudy, it gets really messy. It is a game of complete information, but it’s purely artistic at some points. So some people can be really bad at the math in chess and still succeed, which isn’t the case in poker these days." Almira Skripchenko, who was born on 17 February 1976, in Chisinau, Moldova, but now lives in Paris, is a FIDE International Master and Woman Grandmaster. She learnt chess at the age of six from her Russian father Feodor and her Armenian mother Naira Agababian, both pedagogues and chess coaches. In 1992 Almira became the world Under-16 champion (1992, Duisburg, Germany) and in 1993 took the bronze in the Under-18 group. In 2001, at 25, she celebrated her biggest success ever, winning the individual ladies European championship. She was chosen "best sports-person in 2001 in Moldova" and decorated with the Order of National Merit in her native country. Almira has taken part in several Chess Olympiads (with Moldova, then with France), each time playing on her team's top board. The above picture, which has gone viral on the Internet, was taken by Frederic Friedel with a Canon EOS Digital Rebel on February 14, 2004 at 10:02:59, shutter speed 1/60 sec, F 4.50, bounce flash – and not by "Velho", as is brazenly claimed in Wikimedia Commons [subsequently removed]. In recent years Almira has played in major poker tournaments. In 2009, she finished seventh in a World Series of Poker No Limit Texas hold 'em tournament, winning $78,664. In 2011 she won $50,000 when she finished second in the World Poker Tour celebrity invitational tournament. As of 2011, her live poker tournament winnings exceed $250,000. Almira is a dear friend and always a welcome visitor in Hamburg. She has written a number of reports for our news page and has herself been the subject of countless more (see links below). Frederic: Okay, we have to get ready. We are going to the ChessBase office. Fred: The video recording. You know we are doing that. Almira: Right. So? You want me "beautiful"? Fred: Yes, that would be great. Almira disappears into her room for half an hour. Then a subtle whiff of French perfume descends down the staircase, followed by the movie star with the flowing blond hair – just stunning. Back to normal in the evening, watching Ross and Rachael in her favourite show of "Friends"
Three generations: French GM Laurent Fressinet, husband of Almira, their daughter Ludivine, Naira Agababian-Skripchenko, Almira, and the late Feodor Skripchenko. 12.10.2010 – Five years ago, the current French women's champion Almira Skripchenko, became a poster girl for the German Bundesliga, arguably the world's strongest national chess team competition. Kicking the chess pieces, she made a symbolic connection between soccer and chess. GM Lubomir Kavalek annotates a round one game of the new Bundesliga season. 22.08.2010 – Bacrot was out for a record 7th title, and Fressinet was out for his first, but it was Romain Edouard and Fressinet who raced neck and neck throughout. Don't miss Romain's exquisite miniature against Tkachiev in the penultimate round. In the end, Fressinet showed his will to win, and took the tiebreak, while his wife, Skripchenko, took the Women's title. Report with pictures and videos. 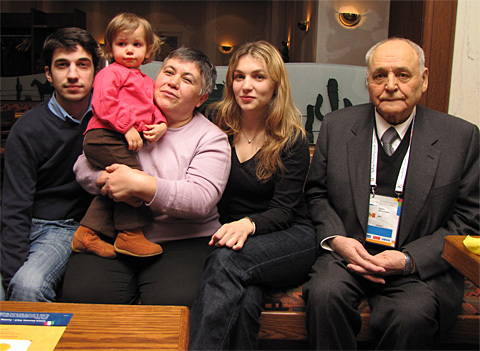 09.05.2010 – He is best known as the General Secretary of the Moldova Chess Federation, and as the father of IM/WGM Almira Skripchenko, but anyone who plays the a6 Slav should remember that it was Feodor Skripchenko who first introduced it into tournament practice. For a number of years this kind-hearted and enthusiastic man had been battling cancer. On Saturday he resigned the game. 14.04.2010 – Many strong players are branching into poker. This is especially true of women, since their chess tournament prizes often hardly cover travel expenses and incidentals. And when in addition players discover they have a natural talent for poker they take to it as a lucrative alternative source of much-needed income. One player such, IM Almira Skripchenko, has done this with great success. 16.10.2009 – Almira Skripchenko is an International Chess Master, rated 2450. She has won the World U16 title, the European Women's Championship and a number of other top events. Originally from Moldova, she now lives in France and is moving away from chess – to poker. Recently she made it to the final table at the World Series in Las Vegas. Portrait and interview. 20.11.2006 – What's a nice girl like Almira Skripchenko doing in a gambling den in Las Vegas? Taking part in the Ladies World Poker Championship, that's what. Like so many other chess players the former European women's champion is flirting with poker and taking part in national and international tournaments. Almira tells us how she got to go to the poker championship and Vegas. 21.06.2006 – Every chess player know the a6 Slav, but does anyone know who first introduced this move into tournament practice? It was a player named Skripchenko – not our beloved Almira, but her father Fyodor, who played it back in 1972, before she was born. Here's the full story about the birth of a variation. 17.04.2006 – Three weeks ago Xu Yuhua won the Women's World Championship. Since 1991 three Chinese players have held the title for a total of twelve years. What is the secret of their success and why this extraordinary boom in women's chess in China? Our roving correspondent Almira Skripchenko gives us an answer in part four of her China pictorial. 29.12.2005 – Saint Nicholas Day is a festivity for children in much of Europe, related to legends of the saint as a bringer of gifts. It was new to our friend from Moldova, Almira Skripchenko, who attended it for the first time in the ChessBase office – and for once from the other side of a camera lens. Almira's report has a tenuous link to our Christmas puzzle. 29.11.2005 – WGM Almira Skripchenko will be taking on the 2004 computer world champion Junior on Wednesday in Madonna di Campiglio, Italy. The match starts at 2:30 p.m. CEST and and can be followed live on Playchess.com. The following day (Dec. 1st) Almira will make a presentation entitled "In the mind of the grandmaster" and conduct a simultaneous exhibition against conference attendees. Further information is available here. 25.11.2005 – China, one of the world's fastest-rising chess nations, has come up with a lot of ideas to promote the game. One interesting event was an "AIGO chess" match between French women's champion Almira Skripchenko and former women's world champion Xie Jun. Here's a spectacular pictorial by Almira. 18.09.2005 – Jinan is south of Beijing, a city with a population of over five million, which recently staged a chess tournament with twelve ladies from different parts of the world. "Beautiful and famous chessplayers welcome!" was the motto. Almira Skripchenko, who was one of the players, sent us a big report with her own personal impressions. 09.09.2005 – China is a rising chess nation. They have a lot of extraordinary talents, and are doing more to help them than almost any other country in the world. Recently French women's champion Almira Skripchenko spent six weeks China, returing with a myriad pictures and impressions, which she has agreed to share with us. Here is Almira's first report. << FIDE Candidates Finals: Gelfand wins right to challenge Anand in 2012!